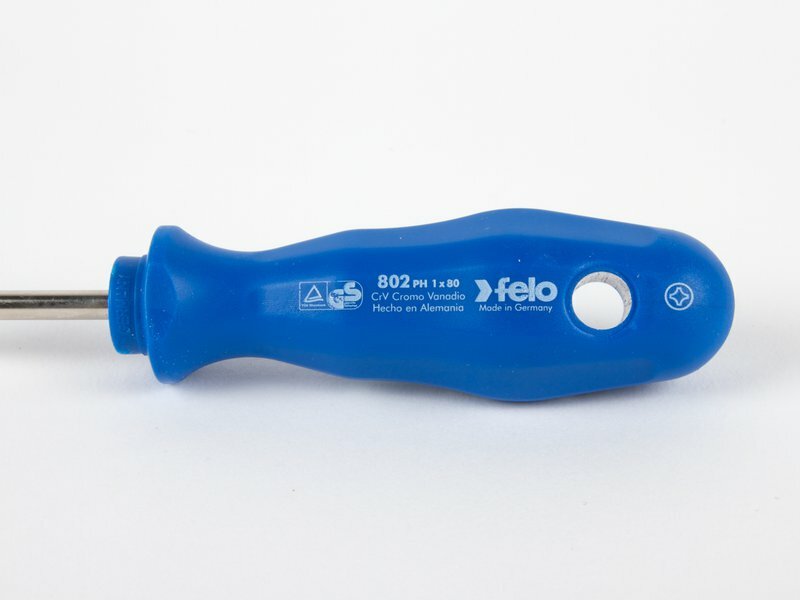 Phillips head #1 size screwdriver by Felo. Made in Germany. Lifetime warranty. 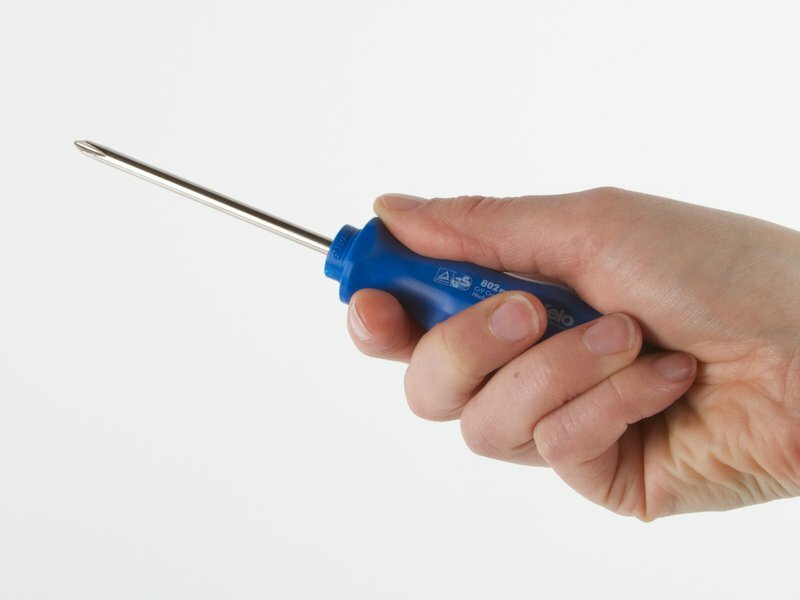 This is a nice Phillips screwdriver, made from chrome-vanadium steel with a nickel-plated/chrome finish. The polypropylene handle features an ergonomic anti-roll design. Cross-drilled hole for inserting lever or hanging. Blade length: 81 mm (3.2"), handle length: 90 mm (3.5"). 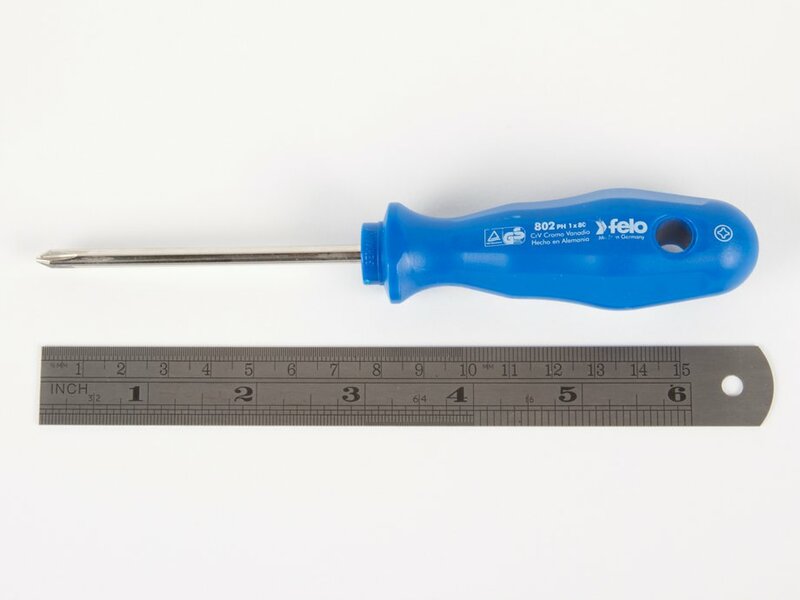 We carry this tool because it's the perfect screwdriver for assembling Alpha Clock Five and the WaterColorBot. 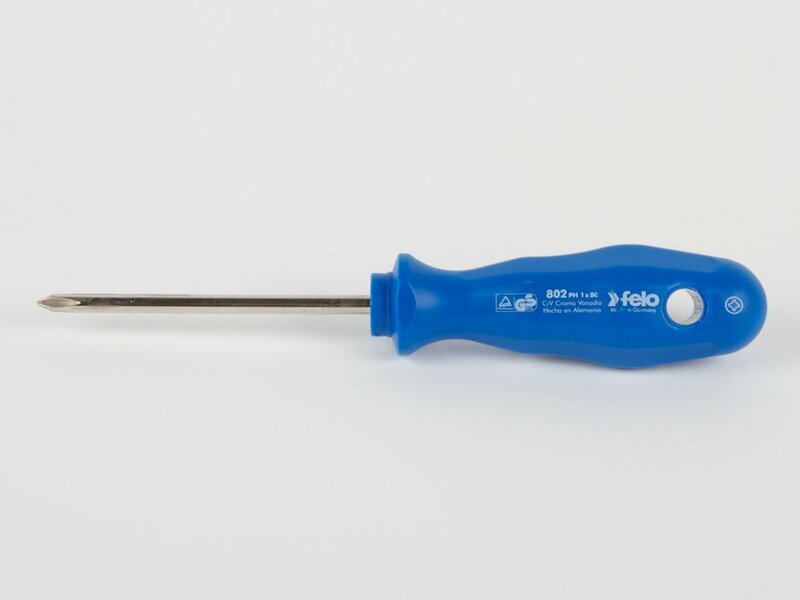 A few of our other kits, like the Eggbot, have a couple of places where a medium-size Phillips head screwdriver like this comes in handy, too.